How a simple tariff classification question ended up at the Canadian International Trade Tribunal. In 2003, while doing a full-day classification seminar for a customs broker, the following question was asked: Where would you correctly classify headphones combined with a microphone, like a telemarketer would wear? Some of the group selected “headphones” and some selected “other”. On October 28, 2003, CBSA issued Customs Notice N-544 stating headphones with a microphone must be classified using 8518.30.99 as “other” devices. TCA believed the Customs Notice was incorrect. Clients that import headphones with a microphone were contacted along with other importers that were not yet clients, hoping they would become clients and asking them to allow TCA to represent them in the tariff appeal. It became evident that, individually, the duty paid was not enough to make the issue worth pursuing. However, when taken together, the total duty paid by all of the importers represented was enough to pursue an appeal. The first step was to choose one importer that would represent the entire group. Ingram Micro was kind enough to do this. An import entry (B3) was selected and an adjustment request (B2) was prepared for submission requesting the headphones with a microphone be reclassified in 8518.30.91. The B2 submission was quite detailed. TCA submitted supporting documentation to reinforce the position that the goods be classified as “headphones” and not as “other.” Customs denied the request. The decision was appealed to the Appeals Branch of CBSA. TCA prepared and submitted a much more detailed appeal request stating the supporting legislation, i.e. Legal Notes, Explanatory Notes, G.I.R.s etc., why the original decision should be overturned. The Appeals Branch denied the submission. The next step was to appeal the decision to the Canadian International Trade Tribunal (CITT). When an importer or the importer’s agent appeals to the CITT, the importer is no longer dealing directly with the CBSA. The CBSA hands the file to the Department of Justice. All correspondence is with the Department of Justice lawyers from this point forward. The appeal TCA submitted to the CITT was extremely detailed. The research requirement was significant. In addition to the reasons previously submitted, the CITT brief also challenged the validity of the Customs Notice and included a reference to a 1995 Supreme Court of Canada decision to strengthen the position. The CITT heard the appeal on October 21, 2010 and published the decision on January 25, 2011. The CITT allowed the appeal. A simple question from a tariff classification seminar went all the way to the Canadian International Trade Tribunal, and TCA’s clients won! It was a lot of very hard work but, in the end, CBSA was incorrect and had to alter the Customs Notice and their interpretation of how to read this section of the tariff. Most importantly, TCA’s clients got something they would not have received if they had acted alone; all of their duty back. 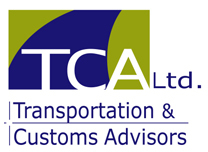 TCA has been involved directly and indirectly with many other CITT cases. The process of appealing to the CITT is very structured and detailed. For importers, it is comforting to know that you can hire a company to represent you on a contingency basis with no risk.